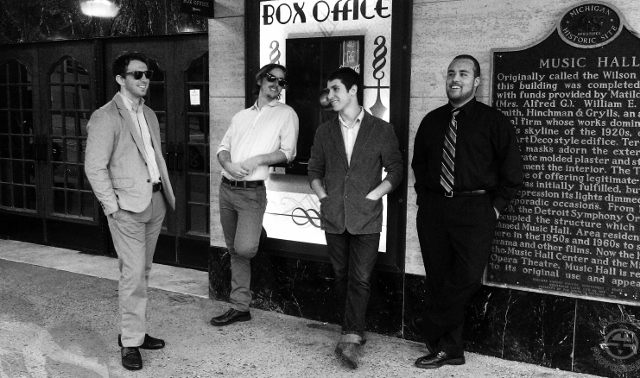 The emerging band featuring students from Grand Valley State University and Grand Rapids Community College already has released an impressive modern jazz debut album, with some high-profile performances ahead. 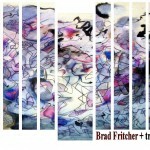 Brad Fritcher + trois is out to redefine the image of jazz. 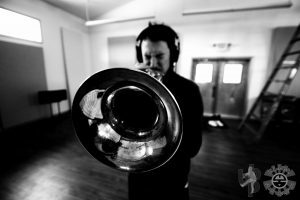 The group, led by trumpeter Brad Fritcher, features four college-age musicians with roots in a variety of genres — classical to metal — with a mission to modernize jazz for today’s audience. 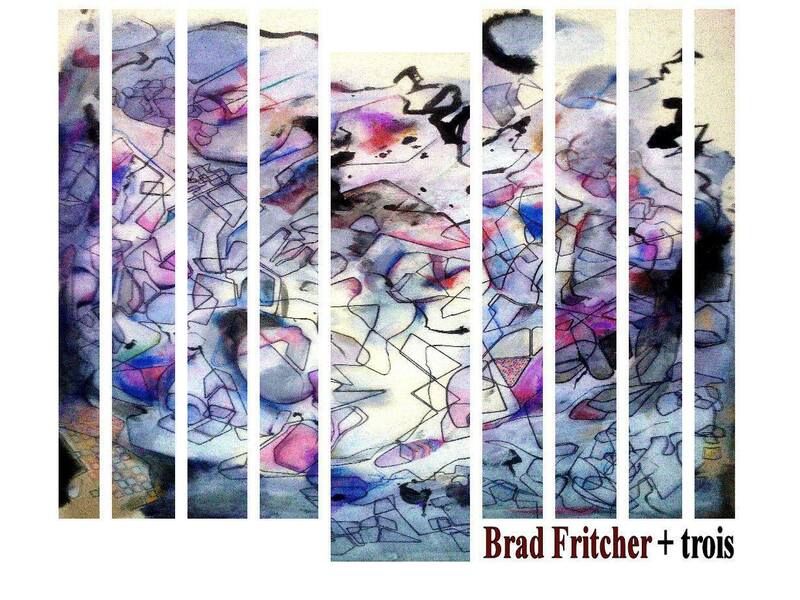 Brad Fritcher + trois got its start with Fritcher, a former Mott Community College student who’s currently completing his degree at Grand Valley State University. Joining him are GVSU students Dutcher Snedeker on piano and Ryan Wallace on bass, and Grand Rapids Community College student Christian Van Duinen on drums. 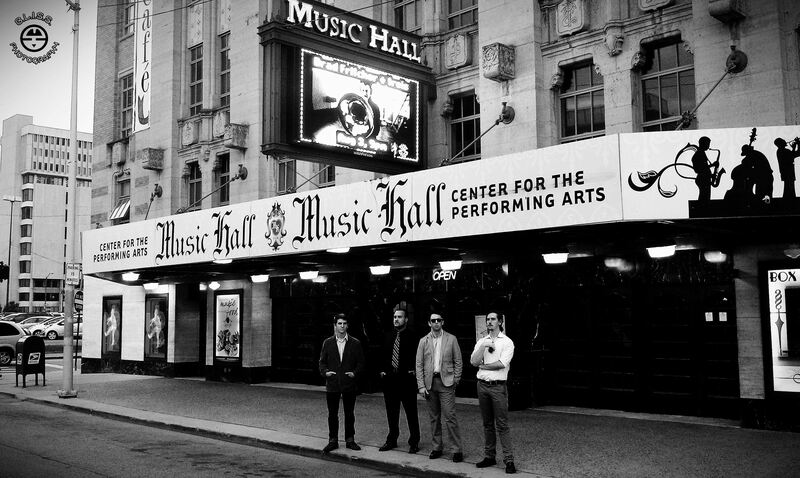 Though the group just formed earlier this year, it already has released an album (“Blue Lake Studio Sessions”), appeared on Blue Lake Public Radio and played Detroit’s Jazz Cafe at Music Hall. Performing both original material and jazz standards, the group undeniably has developed its own flavor. 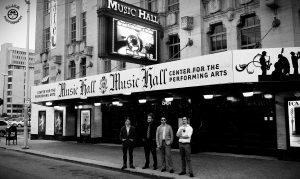 “We might play a blazing swing tune, a Walter Smith III tune, originals conceived in the vein of Jaga Jazzist or Robert Glasper, or arrangements of hip-hop and grunge tunes in the same set,” said Snedeker, who’s from Grand Rapids and graduated from City High School. Fritcher met his fellow musicians through mutual friends. While studying at Mott in Flint, he had assembled a few groups, but never found the right mix of personalities. After moving to Muskegon, Fritcher got in touch with Snedeker. The two discovered that their goals of musicianship and professionalism were in sync. After adding Van Duinen, a graduate of Northview High School, the group began life as a trio, practicing weekly in the office of affiliate GVSU professor Tim Froncek, himself a much-in-demand jazz drummer across the state. “It just clicked with these guys,” Fritcher said. “We all listened really well to each other and played off each other’s energies. After [improvising] I knew something was going on.” Soon, bassist Ryan Wallace, who graduated from Rockford High School, was added to round out the mix. After Wallace joined the fold, the group hit the ground running — writing and performing, and signing with Bear Yovino of Brother Bear Productions. Even before releasing “Blue Lake Sessions” in June, the group was busy snagging a spot this past May on “Jazz From Blue Lake,” a radio show hosted by Lazaro Vega. The group currently plays every Monday night at Skeetown Tavern in Muskegon. They performed at the GVSU Farmer’s Market earlier this month and will play Billy’s Lounge on Sept. 14 as part of the Eastown Street Fair. Though the group hopes to update jazz, members are not dissing the classics. Overall, Brad Fritcher + trois hopes to create an experience for the audience that is truly the band’s music. For more information about the band, visit this Brother Bear Productions artist page.